Nino, the baby of the JUJU family. 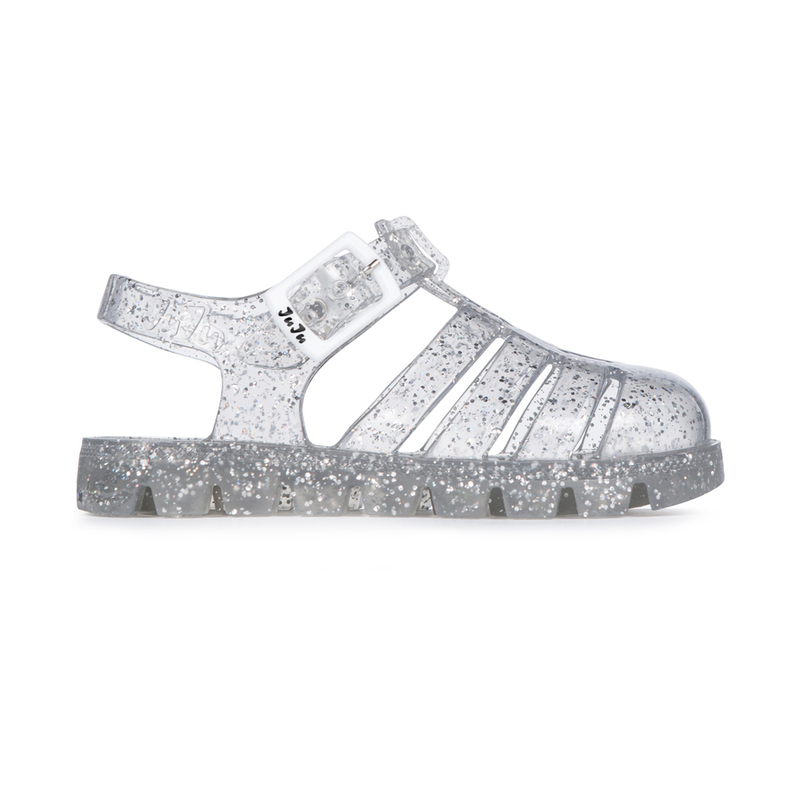 The classic jelly shoe shape .minimised for our mini JUJU-ers! Introduced in subtlepastels and bright shimmers for SS16. JuJu Nino' Jelly Shoes are made in Northampton; our materials are sourced in England and are recyclable. Creators of the original British jelly shoes, Juju jellies have been proudly made in England for over 30 years using traditional manufacturing methods in our Northampton factory. materials for our Juju jellies are sourced in England and are recyclable. Alongside our jellies, Juju footwear also produce a stylish range of festival wellies and fashion wellington boots.